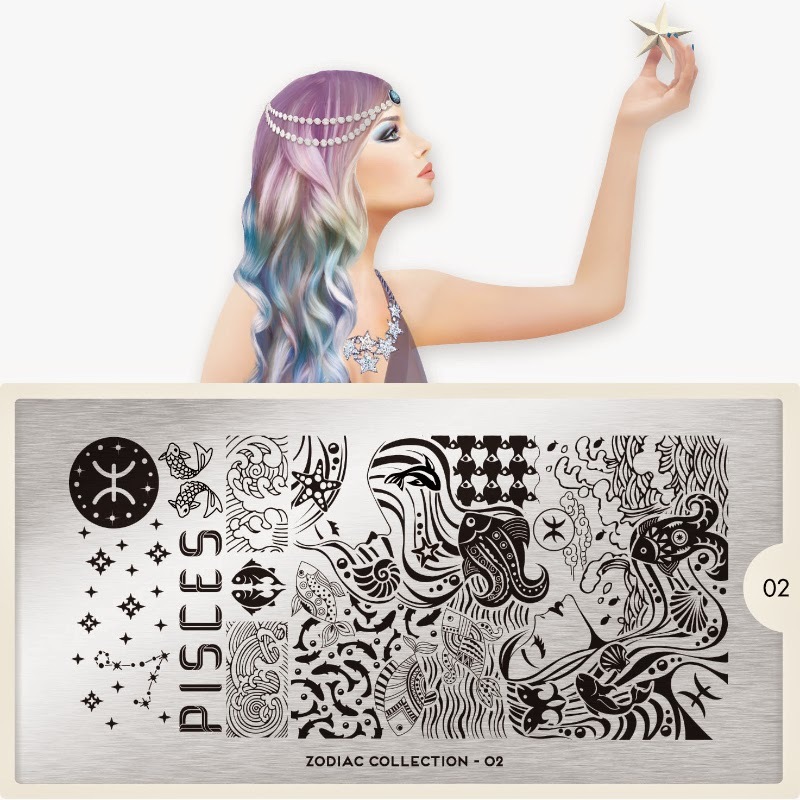 Lacquer Lockdown: Hot Off The Stamping Press: MoYou London Pisces Zodiac Nail Art Stamping Plate! Hot Off The Stamping Press: MoYou London Pisces Zodiac Nail Art Stamping Plate! I have never ever seen such stylized fish on a stamping plate before! They are tribal fish!!! Holy smokes, and the waves and sea images are gorgeous as well! I also love how they turned the Pisces girls' hair into an ocean. I think this plate is beautiful, but I tend to be very biased about ocean scene style plates. Regardless I think a lot of Pisces girls will be pretty happy with this one! This plate is already available for purchase on the MoYou London website and retails for the usual 4.99 GBP.